Durably constructed to withstand outdoor weather conditions. Easy to assemble – sets up in seconds with no tools required. Includes (2) large format full color vinyl graphics. 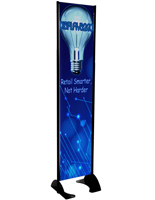 These custom banner stands are perfect for use in large and high-traffic areas such as trade shows, conventions, outdoor events and exhibitions. 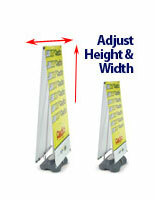 Fabricated from durable plastic with a lightweight frame, these banner sign stands are built for longevity. 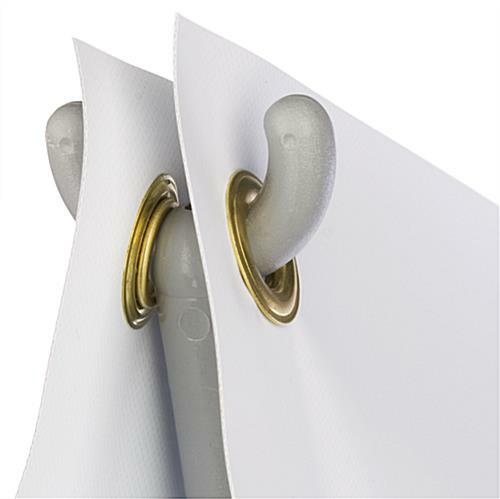 Featuring a durable plastic base, these banner sign stands are designed to be used both indoors and outdoors. To increase stability in outdoor conditions, simply fill the base with either water or sand to ensure your displays won't tip over. Outdoor displays, sign holders and other banner sign stands are the most practical and affordable way to present your advertisements in any setting. 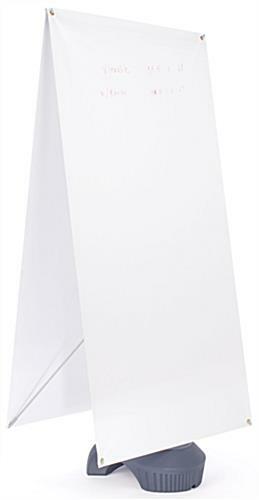 These outdoor displays, banner sign stands come with 2 full-color, vinyl graphics as well. Custom create your own graphics with ease by using the provided artwork templates below. With the crisp and colorful effect of the banner, your advertisements are sure to draw a crowd! 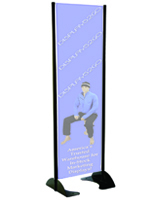 Graphics can be changed easily and quickly with these banner sign stands. The banners can be easily removed and rolled up for easy transportation to and from any location. 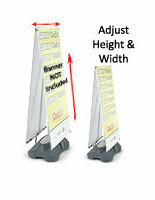 With their lightweight design, these banner sign stands make transport a breeze. 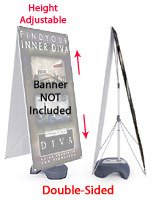 Complete your trade show booth with these banner sign stands!